Anil Ambani-led Reliance Communications Ltd on Monday announced that it has terminated definitive agreements for the sale of specified assets to Reliance Jio Infocomm Ltd by mutual agreement. In a stock-exchange filing, Reliance Communications cited lack of approvals from its lenders and the Department of Telecommunications as well as its decision to approach the bankruptcy court to resolve its debt as reasons for the transaction falling through. The deal involved Reliance Communications selling its telecom towers, spectrum, optic fibre network and media convergence nodes to Reliance Jio, a unit of Mukesh Ambani-led Reliance Industries Ltd, for an unspecified amount. Separately, Ericsson has received 4.62 billion rupees ($67.42 million) from Indian telecoms firm Reliance Communications Ltd, the Swedish company said on Monday, potentially saving billionaire Anil Ambani and two RCom directors from a jail term. Late last month, India's top court found Anil Ambani, chairman of the debt-laden firm, guilty of contempt of court for wilfully failing to pay the Swedish telecom equipment maker. The court had ordered Ambani and two RCom directors to pay Ericsson 4.5 billion rupees within four weeks or face a three-month jail term for contempt of court. RCom, which owes a total 5.71 billion rupees to Ericsson, including a one-time settlement of 5.5 billion rupees and interest payments of 210 million rupees, had already deposited 1.18 billion rupees with the Supreme Court in February. The Swedish firm signed a deal in 2014 to manage and operate RCom's network and last year approached the court over the unpaid dues. 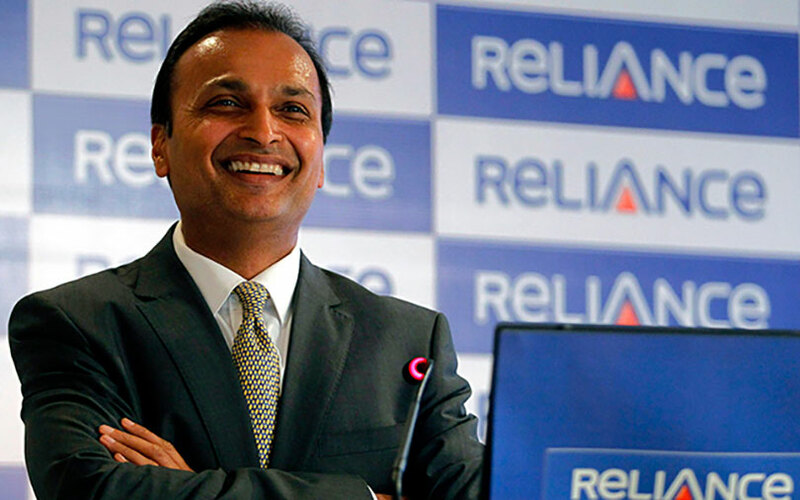 RCom has struggled for cash partly a result of a price war triggered by the market entrance of Reliance Jio Infocomm, controlled by Anil's elder brother and Asia's richest man, Mukesh Ambani. RCom had also sought approval from its lenders to release tax refunds of a further 2.6 billion rupees to Ericsson. Additionally, the company was also looking at selling its real estate assets to pay Ericsson, sources had told Reuters in February. RCom did not immediately respond to Reuters' request for comment.